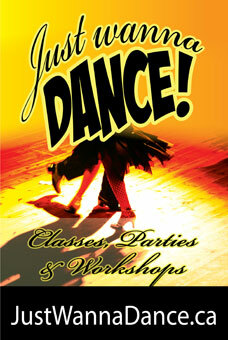 You can have private one-on-one dance lessons with Dale G Neale four-time Canadian Smooth Champion. There’s one dance that some people are just a little bit nervous about… the “first dance” at their wedding. Then again, some brides and grooms are excited about having the floor all to themselves and want to make that moment very special and memorable. And then some brides and grooms are totally pumped about performing and want their entire wedding party to be part of the “show”! Whatever category you fit into, we can help! Call Dale for a free consultation at 604-358-5652. You’re looking for private, personal, one-on-one attention from your dance instructor OR you want to really kick-start your dancing! You can book private lessons with Dale Neale, the Dance Director and Head Master Instructor of the Vancouver Academy of Ballroom Dance. Dale is a four-time Canadian Smooth Ballroom Champion and can instruct anyone from the novice to the advanced dancer in all partner dances and styles. Dale comes from an extensive competitive dance background and has competed in International Latin, Standard and American Smooth and has won several titles including the U.S. Open Smooth Championship, numerous Rising Star Championships and is a four-time winner of the Canadian Smooth Championships. Dale can choreograph a routine for your Pro-Am competition, your wedding or your graduation.